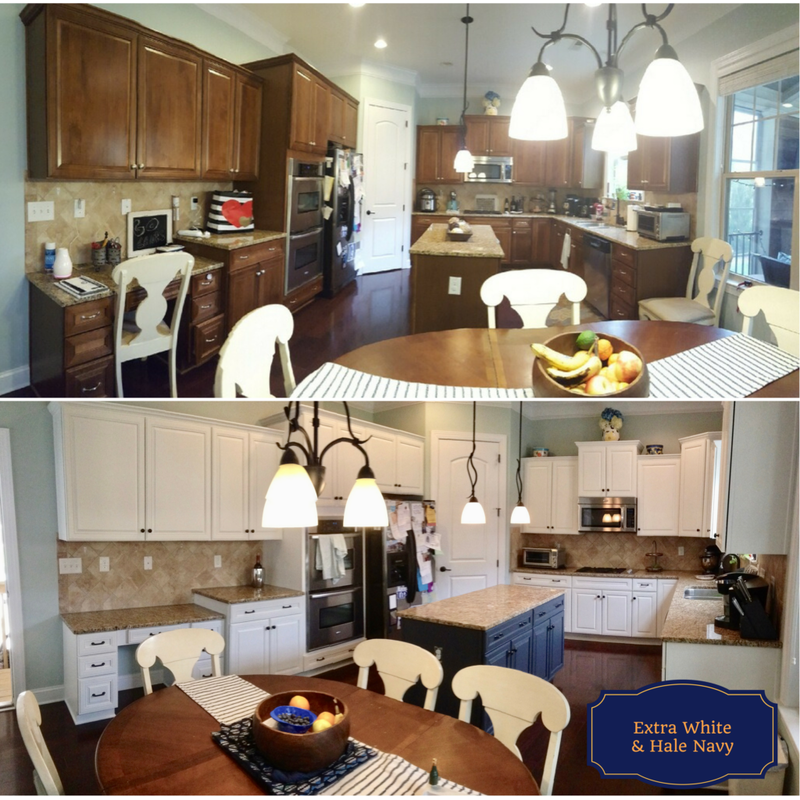 It still amazes me how just a little paint can totally transform the look of a space. 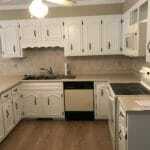 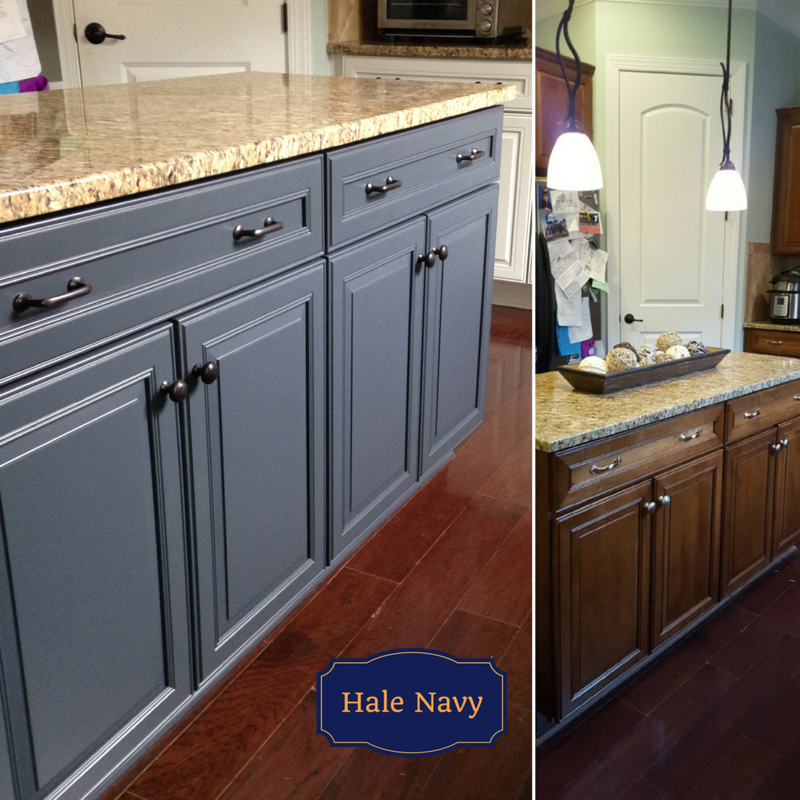 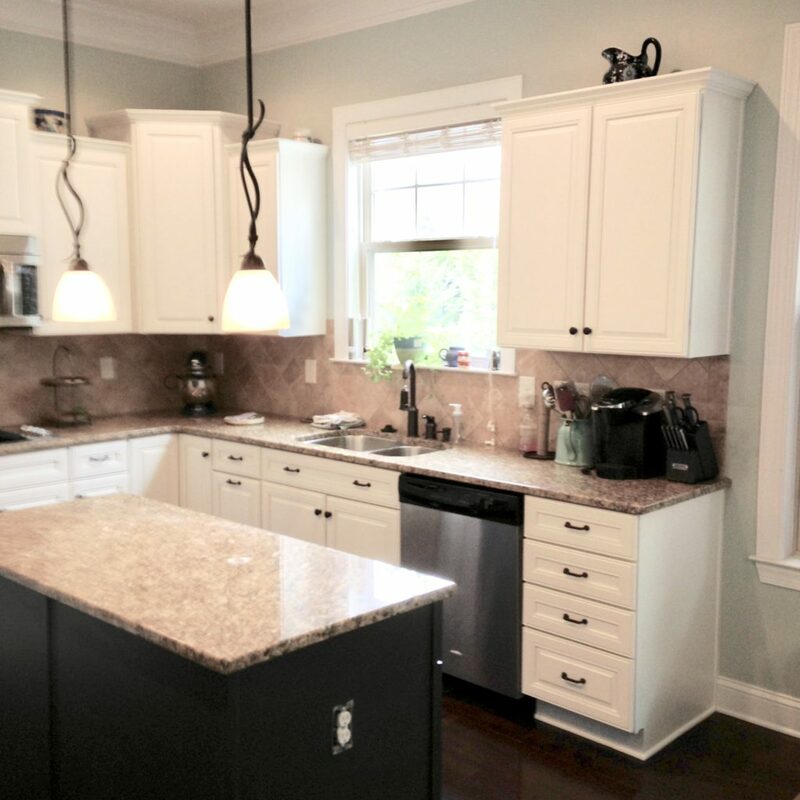 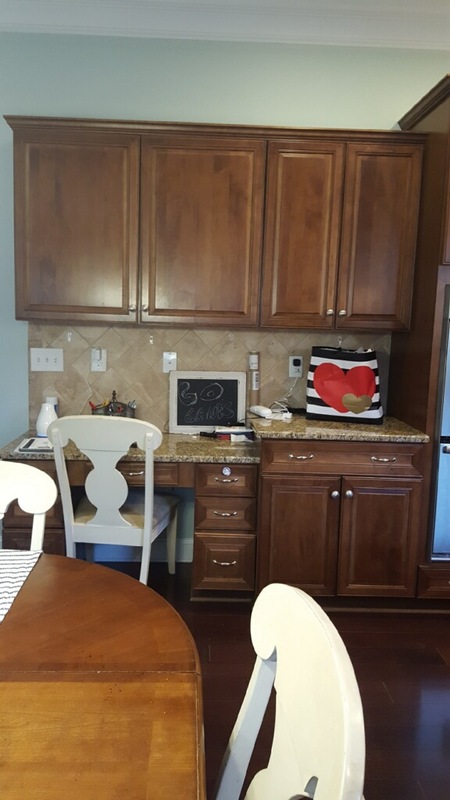 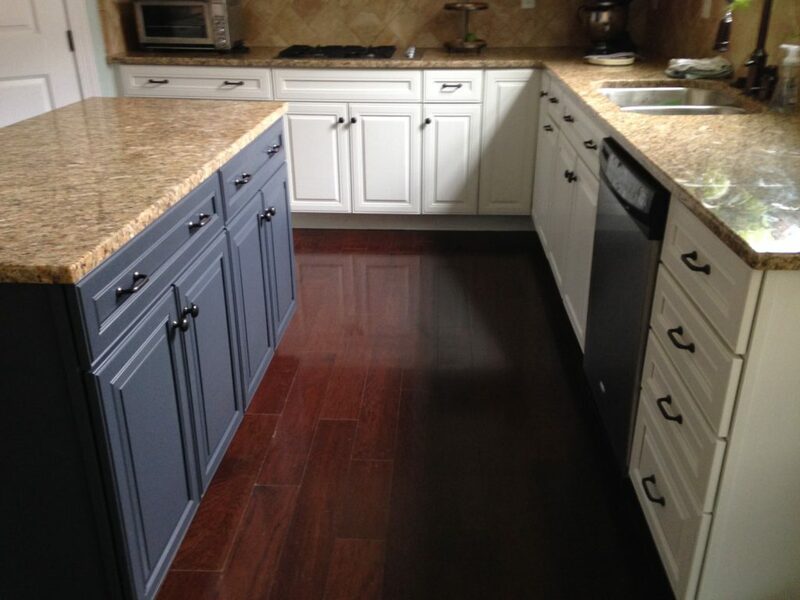 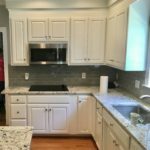 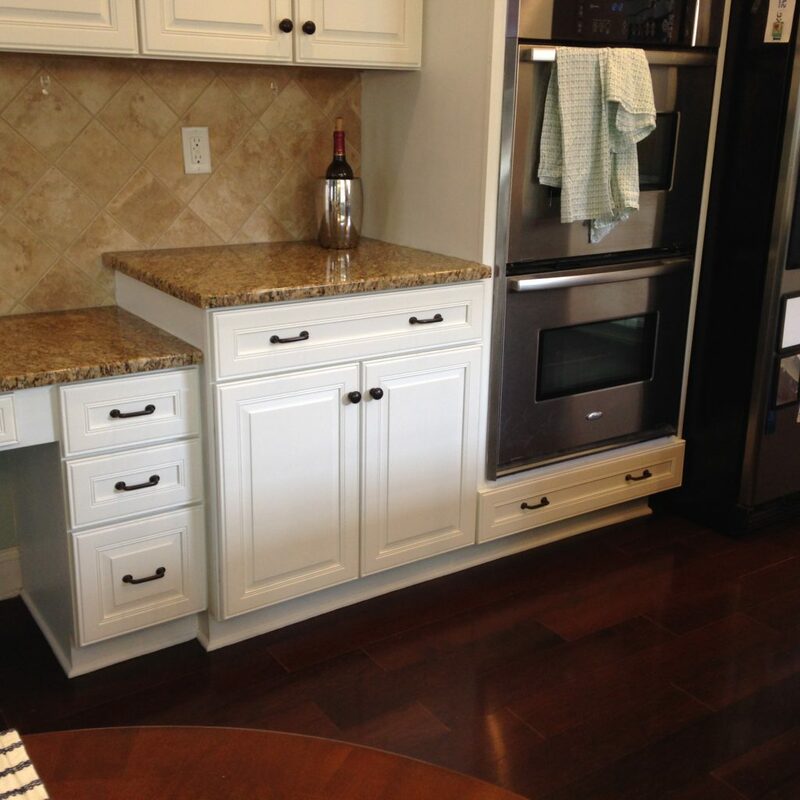 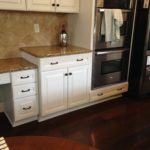 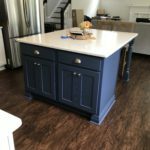 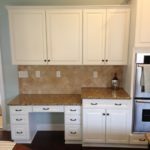 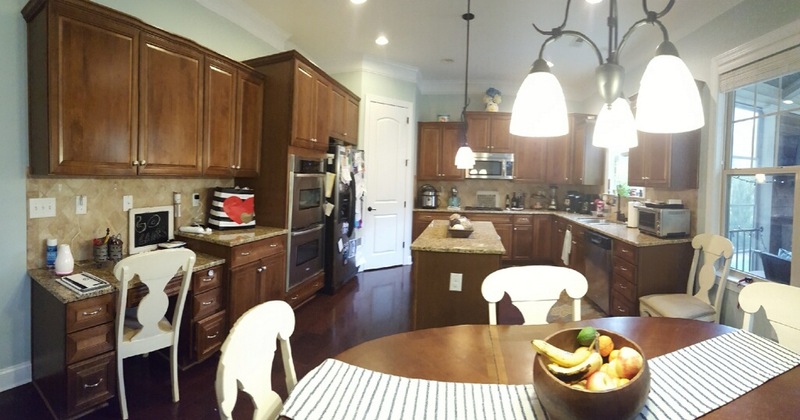 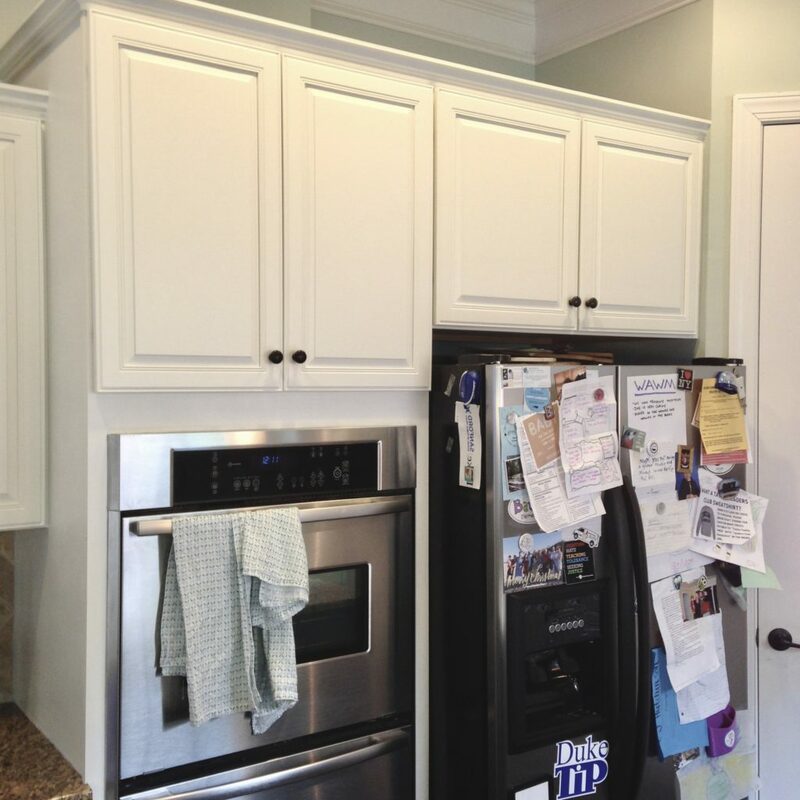 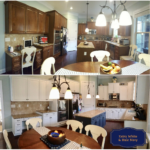 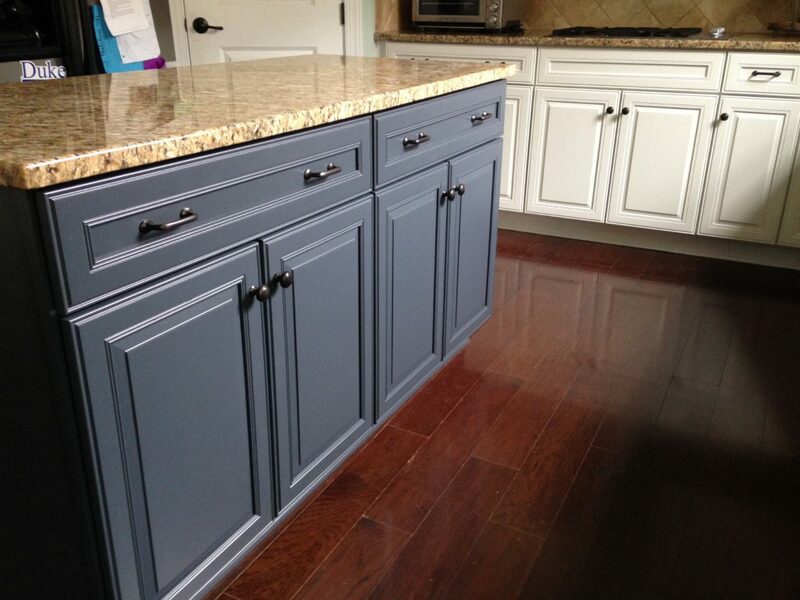 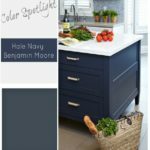 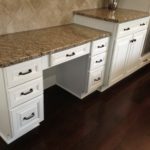 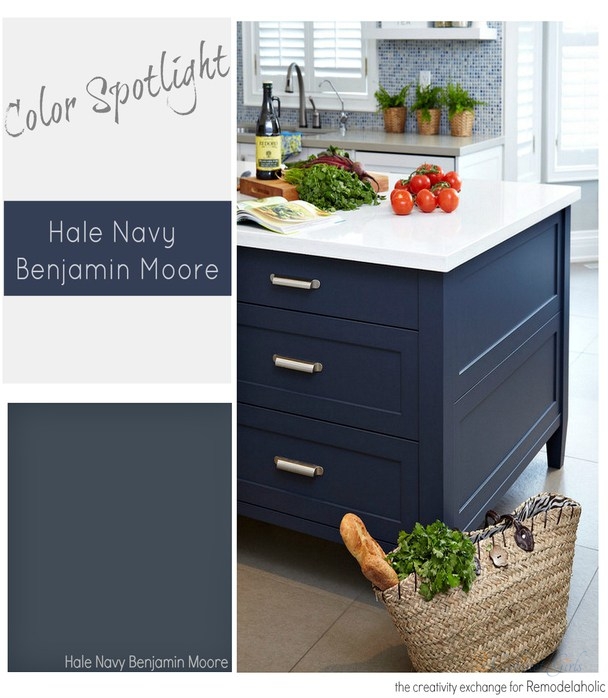 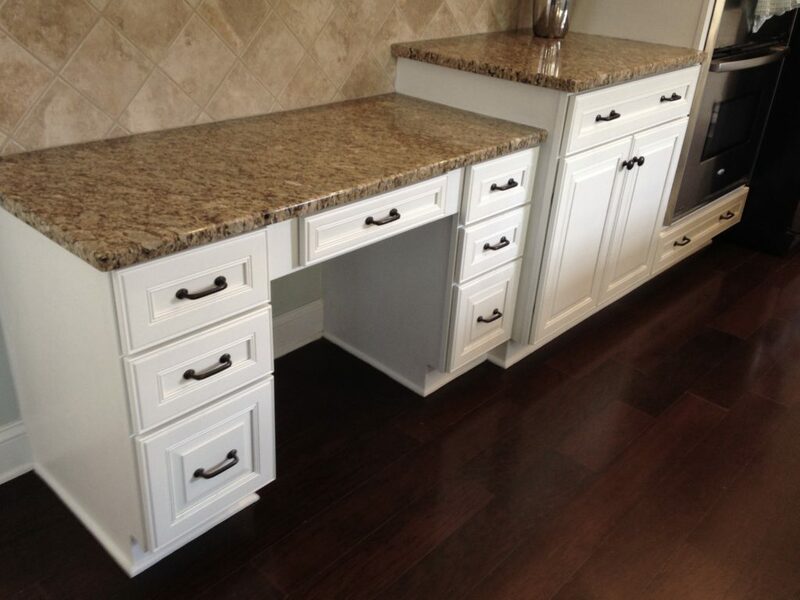 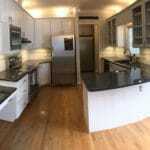 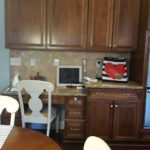 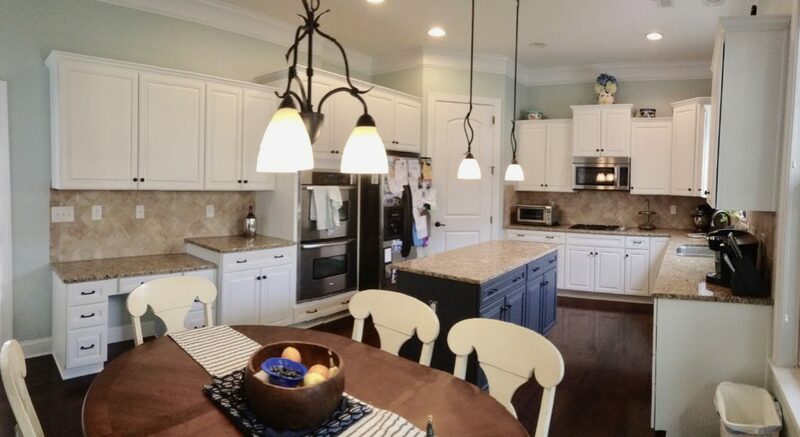 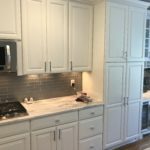 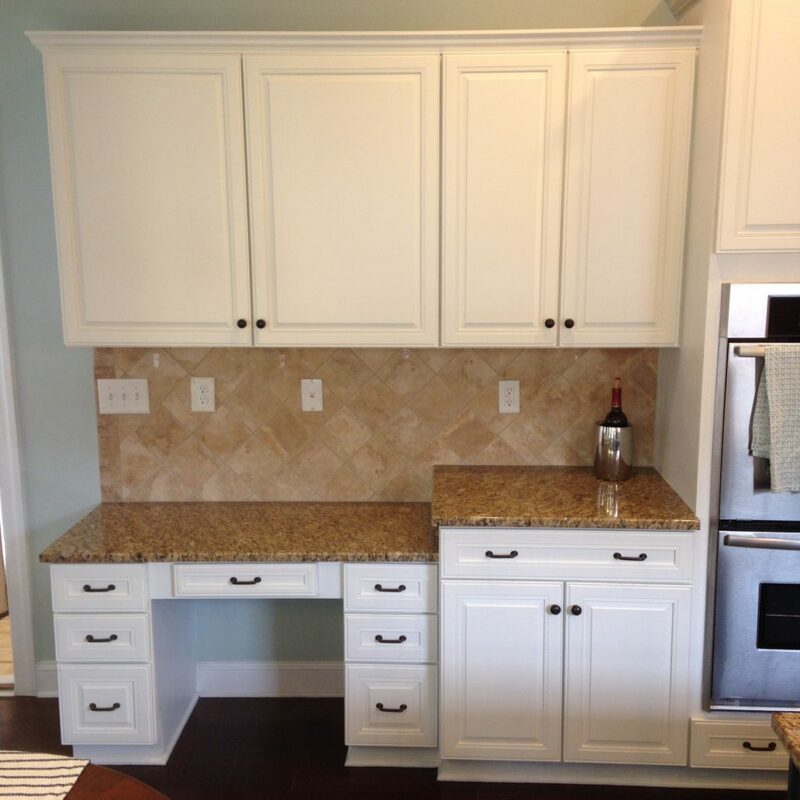 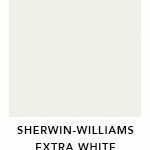 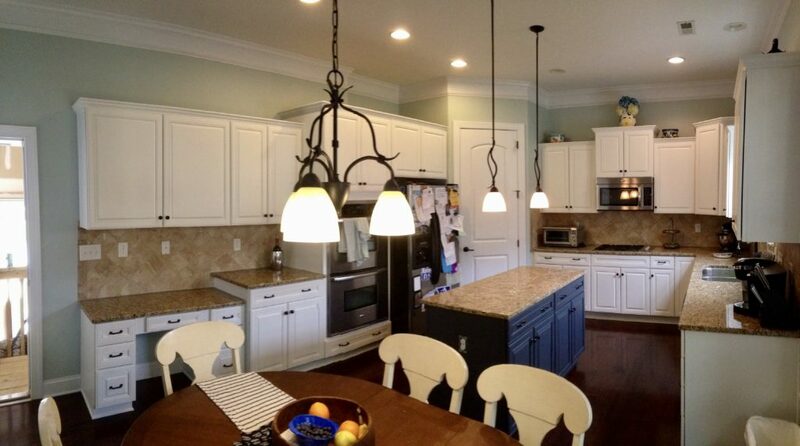 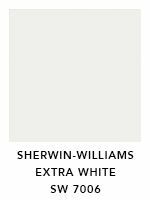 We added Sherwin Williams Extra White to the wall cabinets and Hale Navy to the island. 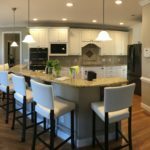 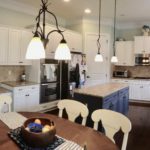 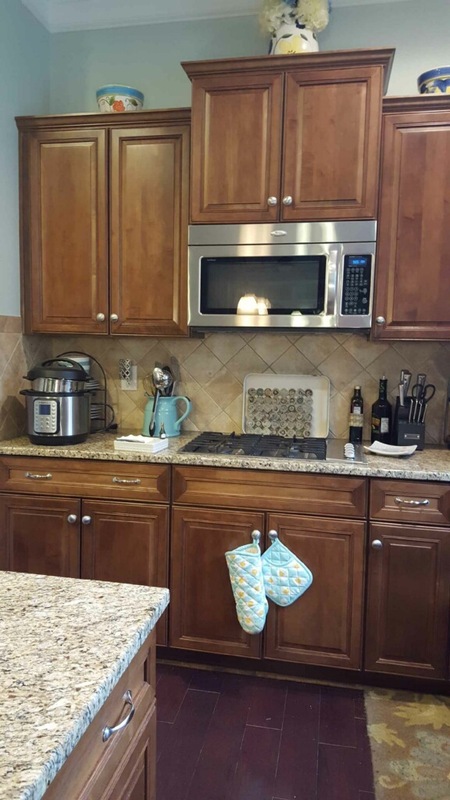 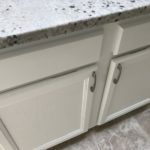 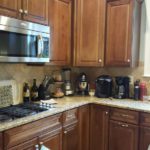 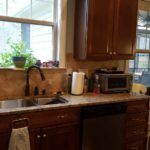 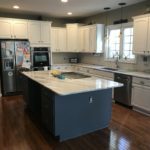 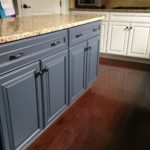 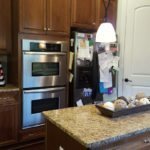 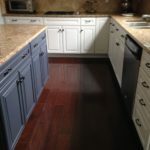 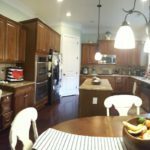 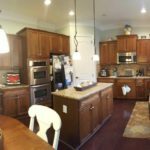 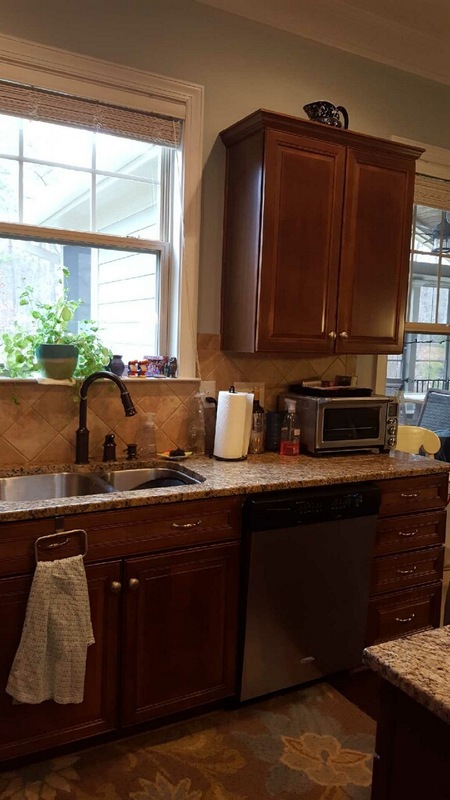 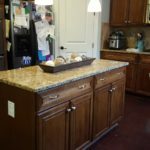 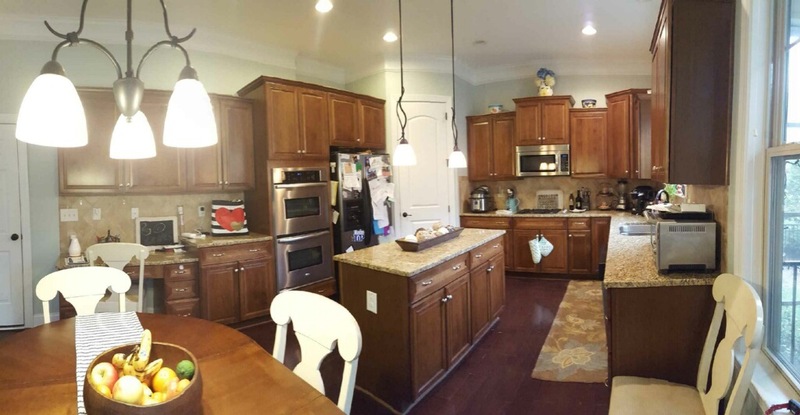 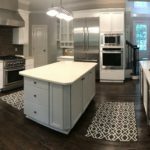 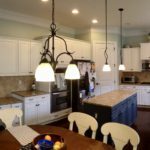 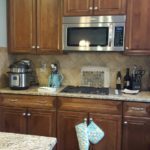 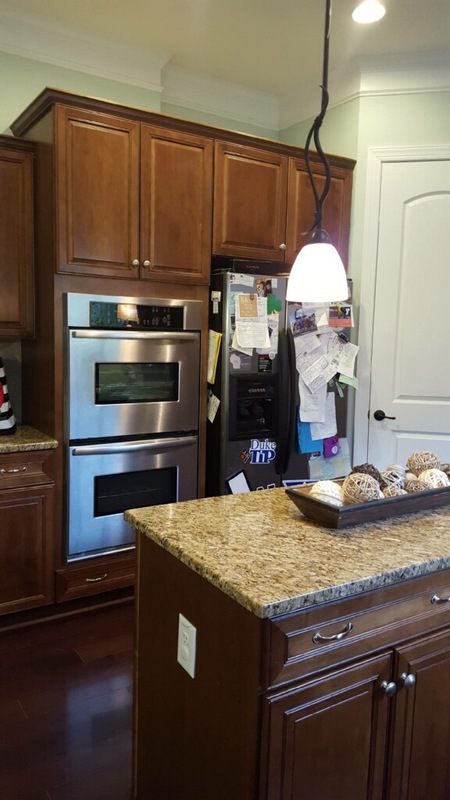 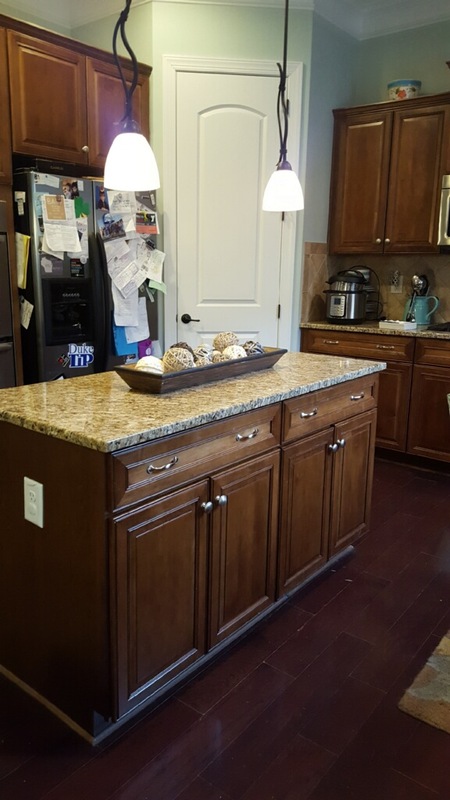 These colors transformed this kitchen from dreary to show-stopping, and made this already amazing kitchen look totally custom! 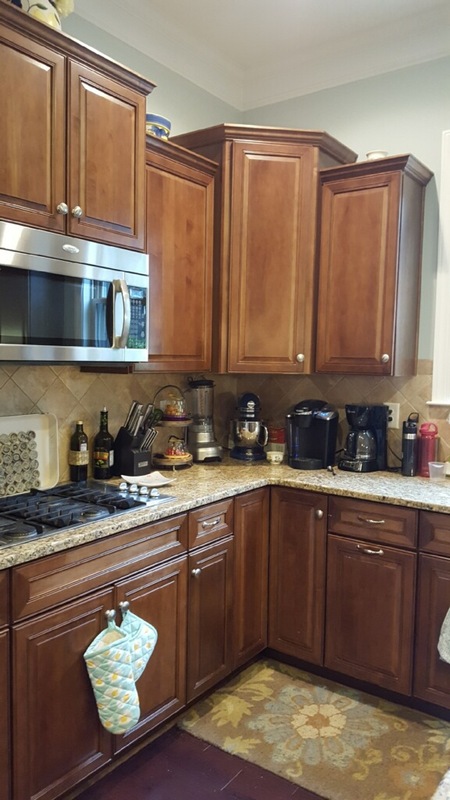 New, more modern oil rubbed bronze knobs and pulls freshened up the look as well.